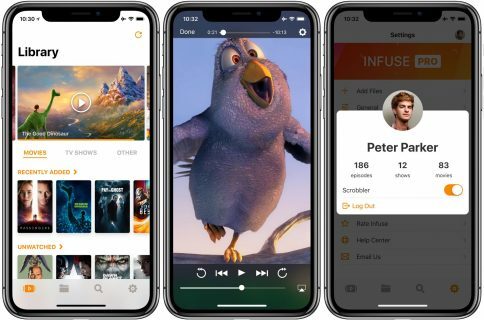 Infuse 3, an elegant and versatile player for virtually any video file format you can think of created by jailbreak developer FireCore, has picked up a slew of new features and improvements in Monday’s version 3.4 update. Infuse 3.4 makes it easy to organize your videos using folders, delete ones you no longer need from the ticket view, continue playing audio in the background after leaving the app to quickly check your email, and more. 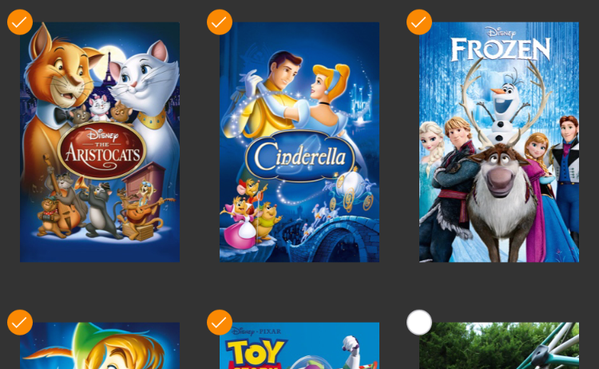 With support for folders, as shown below, your videos can be organized into genre-based folders (or whatever else), and the app’s main view decluttered. “An all-new folders option provides the ability to manually organize videos to your heart’s content,” said FireCore. Just select one or more videos and move them to a previously created folder, or choose New Folder to create a new one. 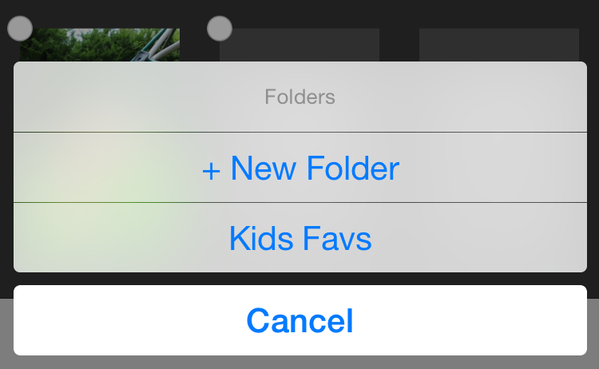 Another nice-to-have comes in the form of an option to set custom artwork for each folder. 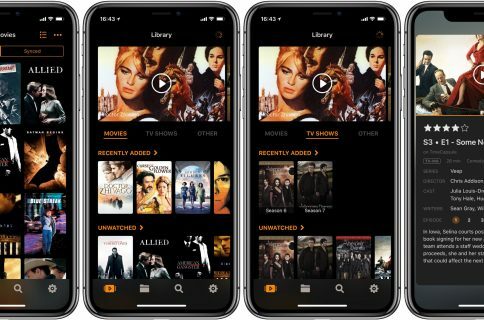 Infuse will now continue to play the audio portion of the video you’re currently watching after you exit the app, or while your device is locked. If you have amassed a private collection of music videos, this feature should come in handy for playing a continuous stream of music videos while multitasking. Background playback requires Infuse Pro, a $9.99 In-App Purchase. In addition to new organization options and background audio playback, Infuse 3.4 delivers nearly a dozen tweaks, improvements and bug fixes. For example, iPhone users can now tell Infuse to remain locked in landscape mode. Videos can be deleted from the ticket view, leaving no trace of your watch history. There’s now a new option to show filenames instead of fetched names. And last but not least, 3.4 also improves upon file management so you can delete items in bulk as opposed to one at a time. “Folders was actually something that has been highly requested for quite some time (right up there with features like DTS and Google Cast),” developer James Abeler writes. Folders: An all-new folders option provides the ability to manually organize videos to your heart’s content. You can even set custom artwork for each, allowing everything to mesh seamlessly with the native Infuse layout. Background audio playback Background playback allows for a video’s audio to continue playing in the background while using other apps or while your device is locked. This is handy when leaving the app to repsond to a quick email, or for playing a continuous stream of music videos. Background playback requires Infuse Pro. Added Turkish translation – thanks Semih! Visit the Infuse website for the full release notes. The 41.7-megabyte app requires an iPhone, iPod touch or iPad with iOS 7.0 or later. 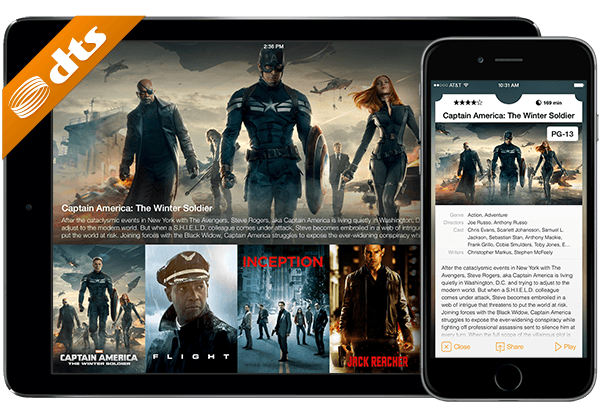 Infuse is optimized for the iPhone 5/5s/5c, iPhone 6 and iPhone 6 Plus screen sizes but lacks an Apple Watch app. 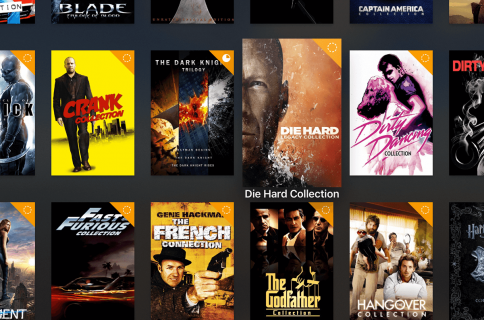 Infuse is available free in the App Store.